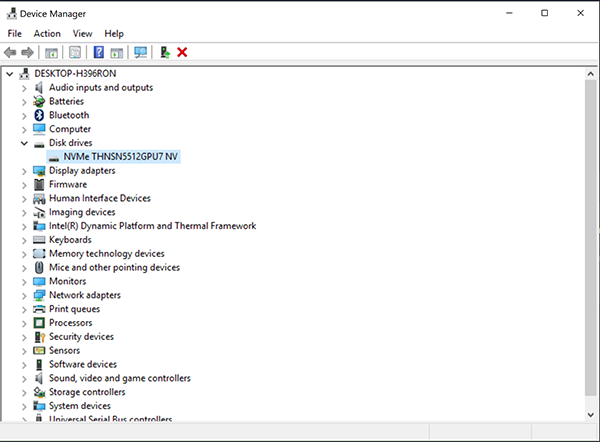 I recently purchased a Dell XPS 13 Touch configured with a 512GB PCIe SSD. 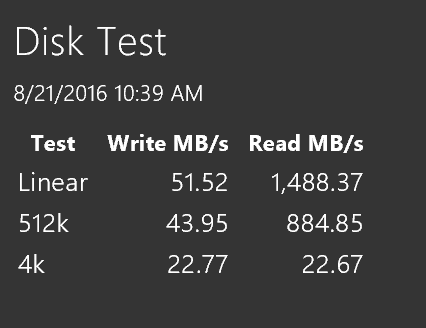 It wasn’t until I used Visual Studio 2015 to deploy a database project that I noticed extremely slow write speeds. It took 30 agonizing minutes to publish a database that should have only taken 3 minutes. I was pretty frustrated with this experience, especially since this is a brand new high-end laptop. After some searching, via Google, I found out that some of these laptops come with a Samsung SSD, and others have a Toshiba SSD. 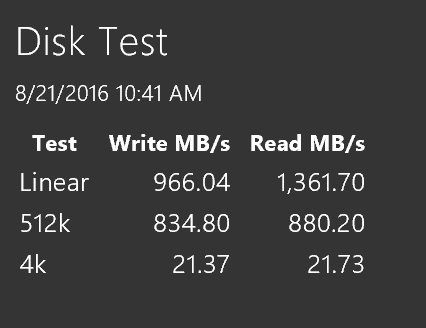 To make matters worse, I was reading that the Toshiba was supposed to be faster than the Samsung SSDs configured in these machines. 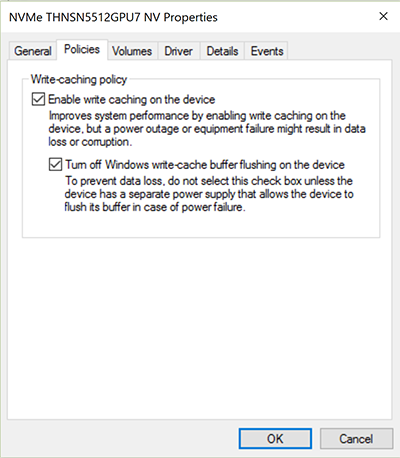 It turns out that a feature called Windows write-cache buffer flushing was the culprit for the sluggish write speeds. Turning this feature off gave me much more acceptable write speeds. I tried several other suggestions I found before running into this tidbit of information and none worked but this one.